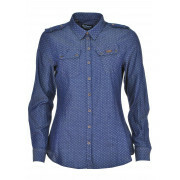 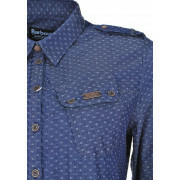 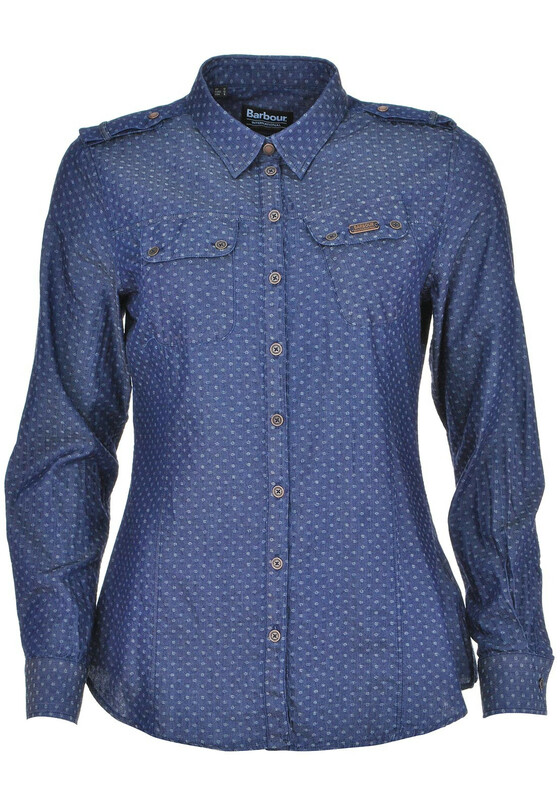 Designed by Barbour International, the Bana Vie denim shirt would be a great update for your casual collection. 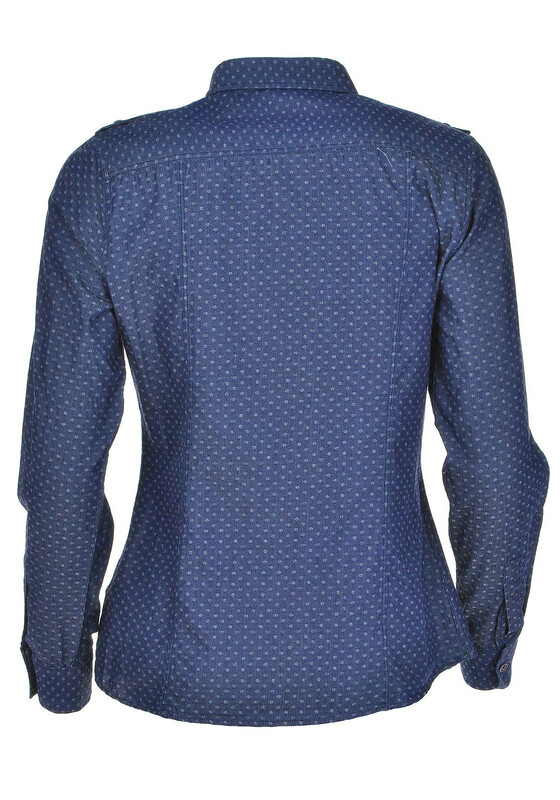 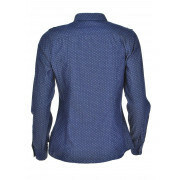 Made from pure cotton, the figure fitting blouse has an all over embossed print. 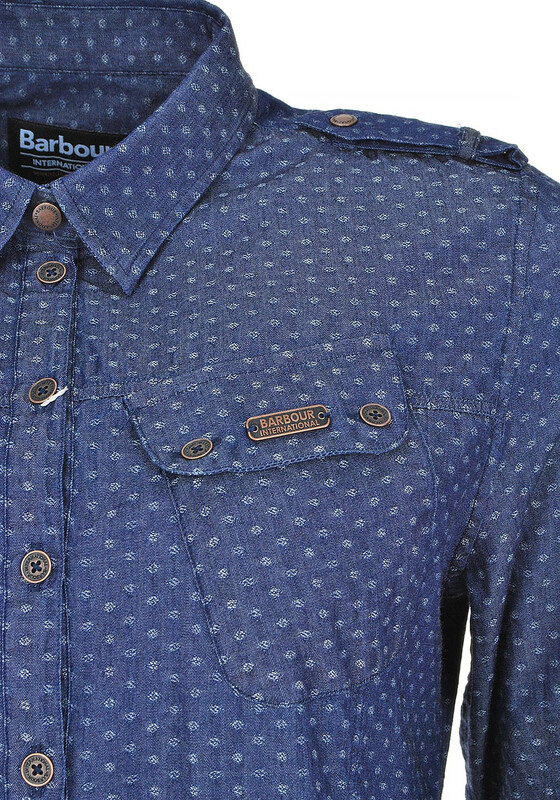 Featuring classic collar, full branded button placket, chest pockets with Barbour International logo tag and shoulders epaulettes.